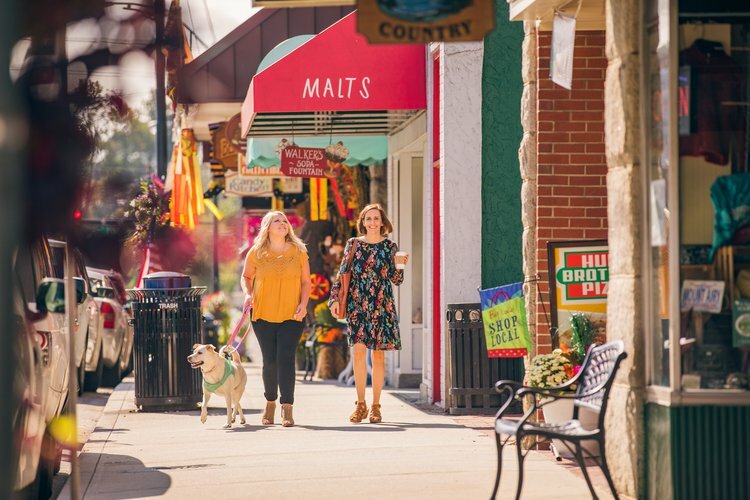 Three Surry County projects that are enjoyed by visitors — two in Elkin and one in Mount Airy — received awards at the 2019 North Carolina Main Street Conference. The awards recognize projects that exhibit excellence in downtown revitalization. 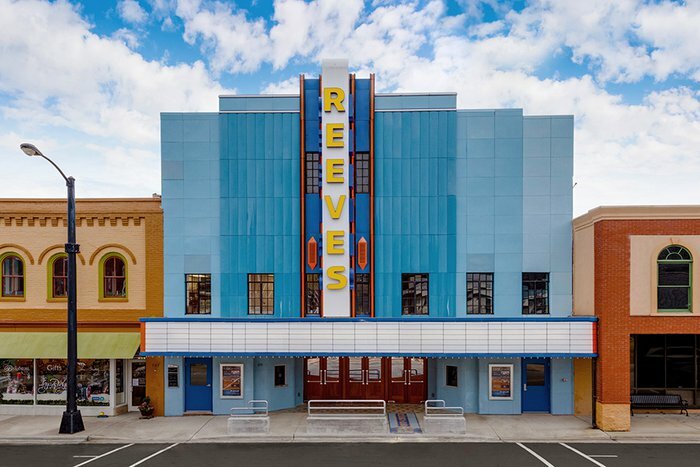 The Reeves Theater in Elkin was named Best Historic Rehabilitation Project. The theater opened as a music venue and cafe in late December 2017 after a four-year restoration. The Reeves originally debuted as a movie theater in 1941, but was shuttered in 1994 and fell into disrepair. The restored building now grabs attention on Elkin’s West Main Street with an art deco façade that makes use of the theater’s original blue exterior panels. The 250-seat theater hosts concerts on Fridays and Saturdays, and the lobby cafe serves farm-to-table fare Tuesday through Saturday. 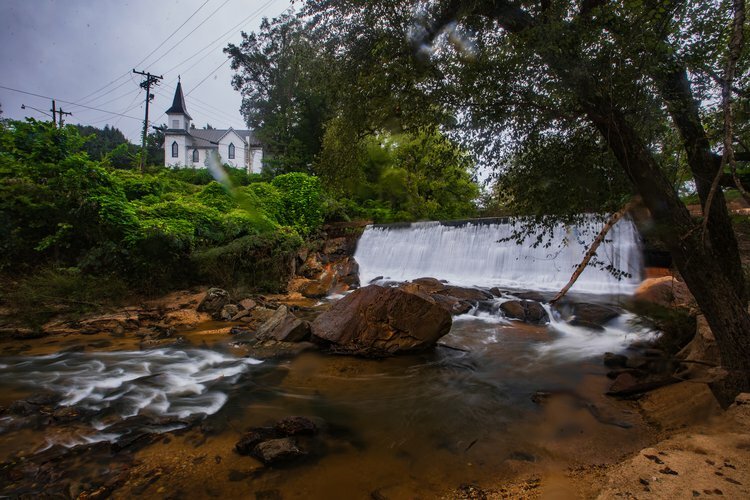 Elkin also received the award for Best Endangered Properties Rescue Effort for the Rock Façade. What was once a Main Street building with a granite front in the early 1900s became a gutted eyesore and was considered for demolition. However, the town decided to turn the shell of a building into a linear park with picnic tables and public restrooms. The design preserved the original granite façade made of stone harvested in Mount Airy. The outdoor space is open for everyday Main Street shoppers, as well as festivals, conferences and block parties. Mount Airy’s Whittling Wall was named Best Outdoor Space Improvement. The wall along West Oak Street in downtown honors eight notable people who played key roles in the town’s history. The lifelike sculptures of such well-known individuals as Donna Fargo, Grammy-winning music artist and Mount Airy native, and world-renowned fiddler Tommy Jarrell are a focal point for pedestrians exploring Mount Airy’s vibrant downtown and an enticing photo op. 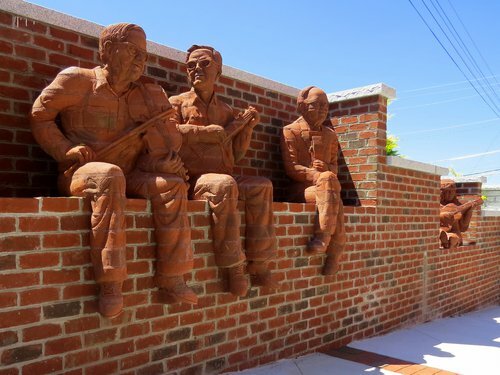 Reidsville artist Brad Spencer created the sculptures using an unusual technique of sculpting individual bricks and putting them together to build a likeness of each person. 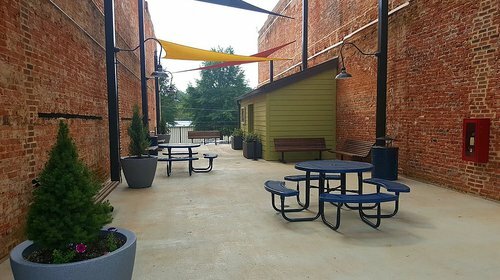 “This year’s award-winning projects represent some of the state’s best downtown revitalization success stories,” Liz Parham said of the 20 North Carolina projects that received awards. Parham is director of the NC Main Street & Rural Planning Center. 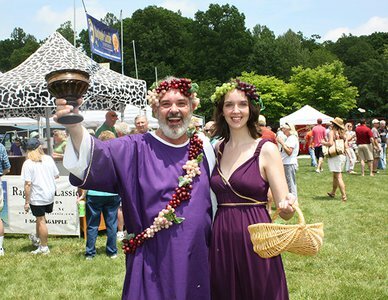 To learn more about Mount Airy’s Main Street, click here. For info about downtown Elkin, including upcoming shows at the Reeves, click here. 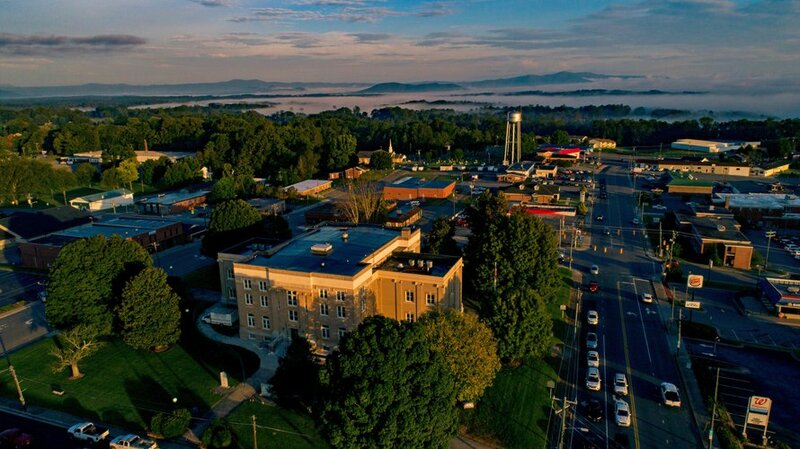 And on Friday, April 15, they will be in Mount Airy, NC, at the Historic Earle Theatre and Old-Time Music Heritage Hall (142 North Main Street, Mt. 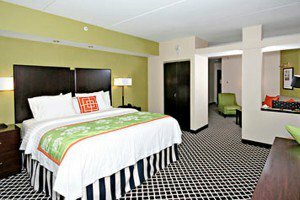 In a business sector where service is king, there is nothing quite as gratifying as being recognized for delivering a memorably positive guest experience, and the Fairfield Inn and Suites of Elkin has reason to be proud after winning the Bill Marriot Chairman's Annual Award for four consecutive years.